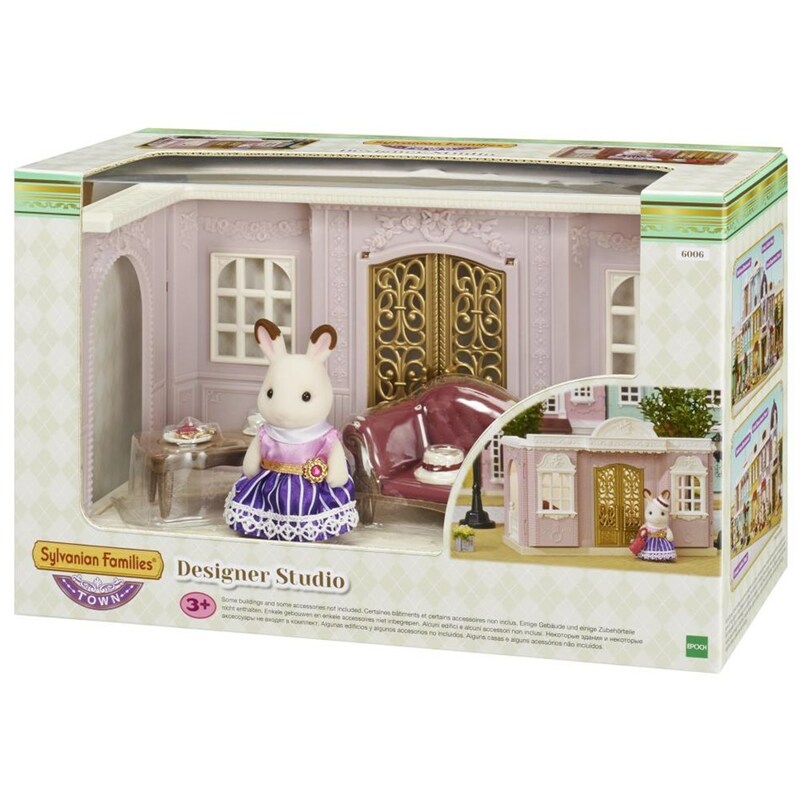 The Designer Studio is a private studio for Stella the Chocolate Rabbit older sister, who works as a dress designer in town. Your Sylvanian friends can enjoy a lovely tea party inside. The building and the furniture are neatly designed with gorgeous engravings. Stella in this set wears a different dress from the Town Girl Series -Chocolate Rabbit-. You can create your own townscape by combining this product with other buildings in the Town series, such as the Grand Department Store, Delicious Restaurant, and Creamy Gelato Shop. You can also customise your building by replacing the windows, fences, and awnings included with the building (all sold separately). "A nostalgic toy range, Sylvanian Families has been loved by many children around the world since 1985.